Six southwest Kansas school districts seeking emergency aid for large drops in 2015 property valuations received a combined $2 million in funding from the State Finance Council on Monday. Superintendents from Ashland, Hugoton, Ulysses, Lakin, Scott City and Holcomb, along with superintendents from 10 other districts in the state, sought emergency aid for large drops in property valuations in 2015. The council approved a total of $2,978,323 for those districts seeking aid due to a reduction in oil and gas valuations. The drop had to exceed 5 percent. Holcomb USD 363 had applied for $492,025 and was awarded $386,010. Emergency aid, formally called the extraordinary needs fund, was created last school year, when lawmakers scrapped the state �? ?s two-decade-old school finance formula and deleted more than $50 million in court-ordered state aid that had been earmarked for school districts with weaker local tax resources. The state also established the extraordinary needs fund, which allows grants to be awarded to districts that see an extraordinary increase in enrollment, extraordinary reduction in assessed valuation, extraordinary reduction in revenue and unforeseen circumstances that substantially impact the school district�? ?s general fund budget. 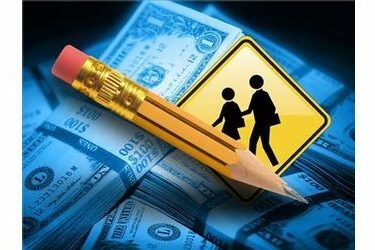 School districts can ask for a slice of it by making their case to the State Finance Council. That�? ?s what the districts were doing on Monday. Ulysses USD 214 received $528,704 of the $695,346 requested. That request was driven by a 20.9 percent drop in the district�? ?s assessed valuation, which resulted in an increase of 3.961 to its LOB mill levy. Scott County USD 466 received $61,707 of $165,506 requested, driven by an 8 percent drop in the district�? ?s assessed valuation, which forced the district to raise its LOB mill levy by 1.787. �?? Hugoton USD 210 received $433,320 of $563,606 requested. the district had a 21.6 percent drop in the district�? ?s assed valuation resulting in a 4.531 increase in the LOB mill levy. �?? Lakin USD 215 received $291,146 of $369,898 requested. The district had a 23.5 percent drop in assessed valuation, resulting in a 4.17 increase in he LOB mill levy. �?? Ashland USD 220 received $40,361 of $66,939 requested. The district had a 12.6 percent drop in assessed value, resulting in a 2.924 increase in its LOB mill levy. �?? Deerfield USD 216 received $141,342 of $157,047 requested. �?? Moscow USD 209 received $121,816 of $135,351 requested. Neither Deerfield or Moscow�? ?s LOB mill levy information was available. Year-to-date funding through the �? ?extraordinary needs�?� process now totals $9,363,599, according to the press release, and approximately $2.9 million remains in the fund.